In response to demand from European researchers for its DNA testing kits, My Heritage has announced the opening of a new distribution centre in Tilburg, Netherlands. The company says it has seen a 450% increase in kit sales across Europe in the first five months of this year. Up to now, DNA kits ordered by European customers were processed by the MyHeritage DNA fulfilment centre in the United States. With the new distribution centre operational, sales of MyHeritage DNA kits will be shipped directly from Europe to European customers, shortening lead and transit times and reducing shipping costs. Delivery time across Europe via standard shipping now takes less than a week and in some cases only 2-4 days. Expedited shipping is also available, with next-day delivery for orders made before 1pm and 2-day delivery for all others. Most countries in Europe will be serviced by the new distribution centre (exclusions are Poland, where MyHeritage DNA kits are not sold, and non-EU countries Norway and Switzerland, which will continue to be fulfilled by the US centre). In the future, the new distribution centre will also collect DNA samples sent back by European customers, and forward them to the MyHeritage DNA lab in the USA. You'll need to be quick for this offer! FindMyPast UK is offering a 50% discount on first month's payments to its monthly subscription packages. The discount is applied to the first payment and can be used only once per customer. After the discounted 30-day period, your subscription automatically renews at full price unless you un-tick the 'Auto-renew my subscription' box in the My Subscription section of the site. This may sound more complex than it is; the process is actually very easy. It's Canada Day on Sunday, so Ancestry.ca is celebrating with free access to its Canada Census collection and a big discount on its DNA tests for researchers based in Canada. Free Access: This offer allows you access to Canadian censuses for every decade from 1851 to 1911 (Manitoba, Saskatchewan and Alberta from 1906 and 1916). You'll find a full list of the record sets included in this offer here. To take advantage of the free access offer (it runs to 11:59pm ET on Monday 2 July), you'll need a free registered account. If you don't already have one, just click the image, right, start searching and you'll be directed to the registration page. DNA test: AncestryDNA's genetic genealogy database is the world's largest. 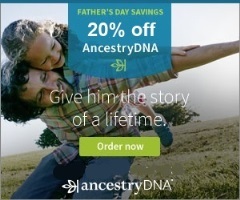 Researchers resident in Canada can purchase a DNA test for just CAD$89 (regular price CAD$129) over this special weekend. The discounted price includes taxes but not shipping, which is extra. The offer runs until Tuesday 3 July. Click the image below to find out more and claim the Canada Day discount. The University of Limerick's Certificate in Local History course, which is presented at the Irish Workhouse Centre in Portumna, County Galway, will be enrolling shortly. The aim of the course is to systematically and coherently develop a range of research skills to further the historical understanding of local and regional communities and societies. It is delivered through lectures and field trips one evening a week over 24 weeks. Classes will start for the next course in September and run to April 2019. 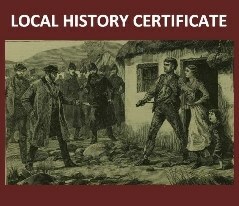 For more details about the Certificate, email info@irishworkhousecentre.ie or phone 086 4070851. 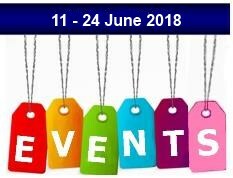 The North of Ireland Family History Society's Library and Research Centre in Newtownabbey will be taking its annual holiday in July. If you want to cram in some last minute research, get yourself along to the Centre this afternoon/early evening (2pm-8pm), otherwise you'll have to hold fire until 7 August. The Centre focusses mainly on the nine counties of Ulster (ie on both sides of the border) but also has books, maps and records for other locations on the island, plus access to FindMyPast. It is open most Tuesdays to members; non-members are welcome too, and a donation will be appreciated. See the NIFHS website for more details. Westmeath Genealogy Centre, based at Dún na Sí Amenity and Heritage Park in Moate, has added nearly 10,000 records to its database on Roots are pleased to announce that it has added more than 9,000 to the Westmeath database at RootsIreland. 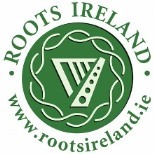 You can view the full RootsIreland menu of sources for County Westmeath here. 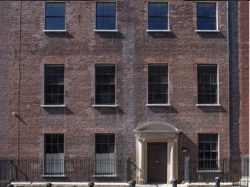 Essential building maintenance at the Registry of Deeds in Dublin's Henrietta Street has closed the Transcribing Room until Monday 16 July*. The Transcribing Rooms holds transcripts dating from 1708-1832 and 1896-1910. 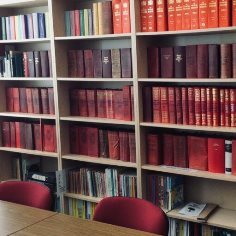 There are no access restrictions to other parts of the archive, which are open to researchers as normal. 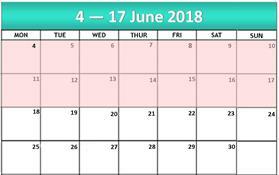 If you are planning to visit the Registry of Deeds over the next week or so, it may be as well to email registryofdeeds@prai.ie in advance to check on access restrictions, in case the building schedule should overrun. Latest updates will be uploaded to http://prai.ie. * The original expected date of reopening was 2 July. On 27 June, the PRAI extended the period of closure to Monday 16 July. See 13 July blogpost with up to date info on partial re-opening. Monday 25 June: NLI Reading Room and Manuscript Room closed. Venue: National Library of Ireland, Kildare Street, Dublin 2. On-going Monday closures are to facilitate extensive redevelopment of the premises. All other services/exhibitons/cafe, including Genealogy Advisory Service, operating as normal. Details. Tuesday 26 June: Blacksmiths and vernacular ironwork traditions of West Clare, with Eric O'Neill. Host: Kilrush and District Historical Society. Venue: Teach Ceoil, Grace Street, Kilrush, Co Clare. AGM 7:30pm; lecture 8pm. Members free/non-members €5. All welcome. 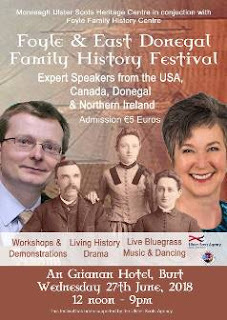 Wednesday 27 June: Foyle & East Donegal Family History Festival. Hosts: Monreagh Ulster Scots Heritage Centre. Venue: An Grianan Hotel, Burt, Co Donegal. Lectures (including 1718 Migration conference), performance, workshops and demonstations, live music and dancing. Speakers include Dr William Roulston, John T Mann, Boyd Gray and Belinda Mahaffy. Noon to 9pm. Admission €5. All welcome. Wednesday 27 June: Frederick Douglass and Ireland – a transatlantic view of poverty and oppression, with Christine Kinealy. Final lecture in the Famine Reflections Series. Host: Coming Home - Art and the Great Hunger exhibition. Venue: President's Room, Dublin Castle. 11am. Details. Sold Out. 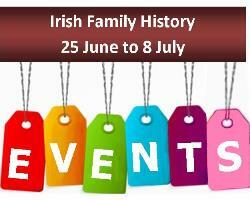 Wednesday 27 June: Irish family history assistance in the Library. Host: Genealogical Society of Victoria. Venue: GSV Library, Level 6, 85 Queen Street, Melbourne, Australia. Free for members. $20 non-members. 10am to 4pm. Consultations: One-hour appointments with a research consultant also available. See details. Thursday 28 June: Limerick in 1918, a centenary celebration with a focus on Spanish Flu in Limerick, Women’s Suffrage, and Shellshock. Host: Limerick Archives. Venue: St Mary's Cathedral, Bridge Street, Limerick. 7:30pm. All welcome. Free entry and refreshments. Friday 29 June: Cork to Barbados: The story of the unfree Irish, with Jim Murphy telling the history of the enforced transportation of the Irish from Cork to the plantations in Barbados. Host and venue: Independence Museum Kilmurry, Kilmurry, Lissarda, Co. Cork. 8pm. All welcome. Details: email: Kilmurry.historical@gmail.com or telephone: 021 7336932. 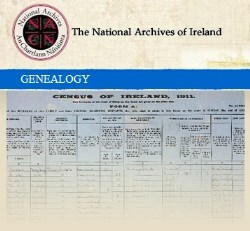 Saturday 30 June: How to use the Registry of Deeds to further your Irish family history research, with Malcolm McDonald. Host: New Zealand Society of Genealogists. Venue: NZ Society of Genealogists Family Research Centre Level 1, 159 Queens Rd Panmure, Auckland, New Zealand. 10am to Noon. $15, includes tea & coffee. Booking. 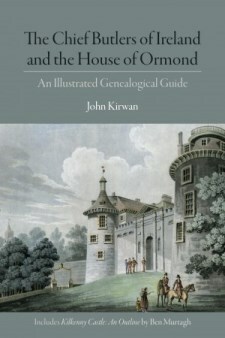 Saturday 30 June: The place of the Big House and Estate in Irish history, a conference. Hosts: South East Galway Archaeological & Historical Society and the Irish Workhouse Centre. Venue: Irish Workhouse Centre, Portumna, Co Galway. Free. Book early by email: info@irishworkhousecentre.ie. Sunday 1 July: Irish Ancestry Summer School starts. 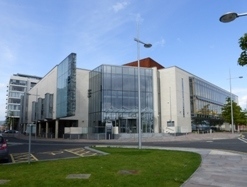 Host and venue: NUI Galway. A week-long exploration of Ireland's history, society and culture, incorporating family history research and fieldtrips to west of Ireland. Full programme and details. Monday 2 July: NLI Reading Room and Manuscript Room closed. Venue: National Library of Ireland, Kildare Street, Dublin 2. On-going Monday closures are to facilitate extensive redevelopment of the premises. All other services/exhibitons/cafe, including Genealogy Advisory Service, operating as normal. Details. Friday 6 July: How to start your family tree, with Olive Coleman. Hosts: Cork Genealogical Society and Kilmurry Independence Museum. Venue: Independence Museum Lissardagh, Kilmurry, Co. Cork. 8pm. Admission: €5 (free to members). All welcome. 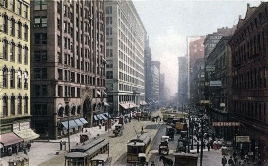 AmericanAncestors.org, the online database of the New England Historic Genealogical Society, has seen significant recent uploads to its Massachusetts: Roman Catholic Archdiocese of Boston Records, 1789-1900 collection. The new additions come from six parishes: St Joseph's, St Augustine's, St Stephen's, St. Thomas Aquinas (Jamaica Plain), Immaculate Conception (Newburyport), and Holy Family (Rockland). 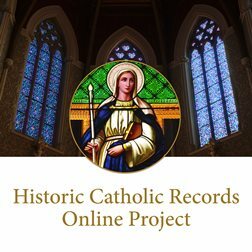 As you'd expect from Roman Catholic records from Boston, they are crammed full of Irish-born men and women and their descendants. 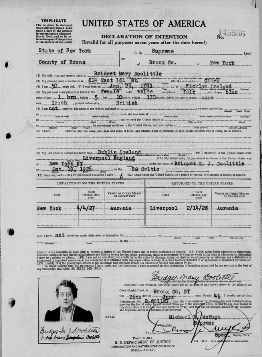 The genealogical details in the records varies, with more modern entries generally being more informative. Indexed and searchable databases in the Massachusetts: Roman Catholic Archdiocese of Boston Records, 1789-1900 collection (see link above) are available to Individual-level and above NEHGS members only. Non-members can create a free guest account to browse the image-only version of the database. See the how-to video below. The latest update from the Registry of Deeds Index Project results in a new total of 274,091 indexed entries available to researchers. These entries have been indexed from 30,371 memorials of deeds. It's worth noting that the project also now has more than 55,000 townland index entries, all submitted by volunteers. The project website is free to search. Monday 18 June: NLI Reading Room and Manuscript Room closed. Venue: National Library of Ireland, Kildare Street, Dublin 2. On-going Monday closures are to facilitate extensive redevelopment of the premises. 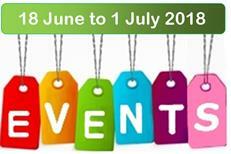 All other services/exhibitons/cafe, including Genealogy Advisory Service operating as normal. Details. Thursday 21 June: The sinking of the RMS Leinster in 1918, with Philip Lecane. Host: Leixlip History Group. Venue: Leixlip Community Library, Captain's Hill, Newtown, Leixlip, Co. Kildare. 7:15pm. All welcome. 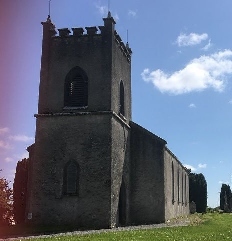 Wednesday 20 June to Saturday 24 June: Irish Journeys: Famine Legacies and Reconnecting Communities, the 2018 Irish Famine Summer School at Strokestown Park. Speakers include Professor Christine Kinealy (Quinnipiac University), Prof Mike Cronin (Boston University), Prof Maura Murphy (Hofstra University), Prof Mark McGowan (University of Toronto) and Prof Ian Kuijt (University of Notre Dame). Venue: Strokestown Park House, Strokestown, Co. Roscommon. Programme and details. Thursday 21 June: They have rights who dare maintain them – the formation of the Irish Volunteers, with Gerry White. Host: Cork University Press (Atlas of the Irish Revolution). Venue: Waterstones, 69 Patrick Street, Cork City. Free. 7pm. Limited seating. Saturday 23 June: Three 'Lightning' talks on Old Lucan. Host: Old Lucan Society. Venue:Seminar Room, Lucan Library, Unit 33, Lucan Shopping Centre, Newcastle Rd, Lucan, County Dublin 2pm. Free. All welcome. Details. Saturday 23 June: Irish genealogy advice and help, with the Irish Genealogical Research Society at the York Family History Fair. Venue: The Knavesmire Exhibition Centre, The Racecourse, York, UK. £5 admission. 10am to 4:30pm. Details. Tuesday 26 June: Blacksmiths and vernacular ironwork traditions of West Clare, with Eric O'Neill. Host: Kilrush and District Historical Society. Venue: Teach Ceoil, Grace Street, Kilrush, Co Clare. AGM at 7:30pm; lecture at 8pm. Free to members; €5 for non-members. All welcome. Thursday 29 June: Cork to Barbados: The story of the unfree Irish, with Jim Murphy telling the history of the enforced transportation of the Irish from Cork to the plantations in Barbados. Host and venue: Independence Museum Kilmurry, Kilmurry, Lissarda, Co. Cork. 8pm. All welcome. Details: email: Kilmurry.historical@gmail.com or telephone: 021 7336932. 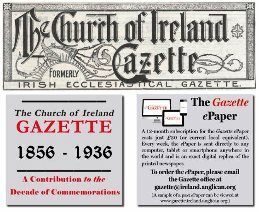 For the second time this month, the RCB Library has announced the digitisation and free online availability of a further tranche of the Church of Ireland Gazette. The first June release (see blogpost) saw the free Gazette database extend to cover editions published from 1856 to 1933. The latest instalment adds editions published from 1934 to 1936, so that the free database now spans more than 80 years. You can search the Church of Ireland Gazette here. This collection may allow you to discover when and where your ancestor was wounded, where they were treated how long they were held at the medical facility for treatment. Images may provide a variety of additional details such as their service history and a description of wound. 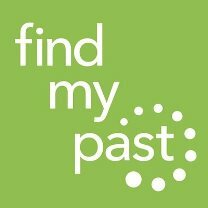 In total, there are now 934,000 records in FindMyPast's collection, which is restricted to records dating back at least 100 years. The records are from the UK National Archives series MH106 - War Office: WW1 Representative Medical Records of Servicemen, which comprises a representative selection of the full collection of medical records gathered during the war; the sample records were used for statistical purposes. They include admissions and discharge records from hospitals, field ambulances, and casualty stations.